His name is Ramesh Majhwar. He’s a native of Uttar Pradesh with a technical diploma now living in Mumbai. I met him at the Drone Festival of India, where just like everyone else, he shared his contact details. But unlike anyone else, he regularly kept track of our work. Whenever we hosted an event, he was there, without expectations, just extremely eager to learn. All he wanted was guidance. An alumni of the Indian Academy of Drones, he was now ready to apply his knowledge and skills to real projects. So, he started tracking all drone-based companies, looking for just just one shot to get involved but the lack of opportunities in the drone industry slowly became a source of frustration. We happened to travel together to Bordi in a passenger train for a demonstration on agriculture, where I had a chance to hear him out: “Maybe my education is not enough. Maybe I am not good enough.” He didn’t have a drone of his own and was afraid to ask for money from his family. He was ready to work hard yet not willing to give up his passion for drones. It took him a lot of courage to finally resort to his parents to back him for a few months when he purchased his first DJI Mavic Pro. Coming from a humble background, this investment meant he had to make good use of the device. 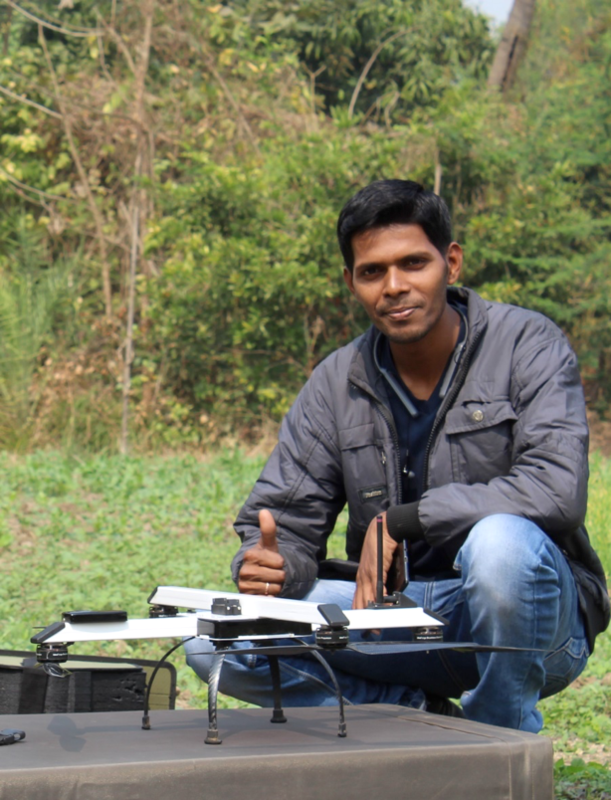 Ramesh left home for a nameless destination with just a few clothes and his machine, landing in Uttar Pradesh, where one day, he says, he will set up his drone-as a-service company for farmers and village institutions. He had home-stays with villagers along his journey, and took pictures of rivers and landscapes. 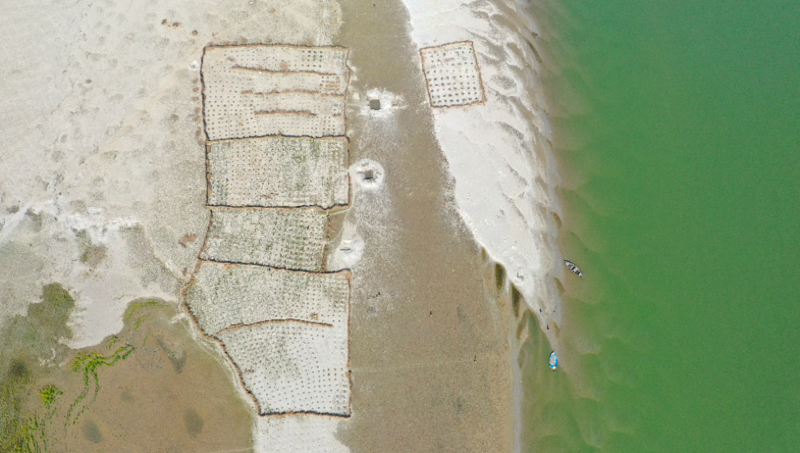 He spoke to random farmers and invited them to watch him fly over their watermelon fields. He explained them what drones are, what images are used for, how this information can help them monitor crop health and profit from adopting technologies. Next thing we know, he went to a local school and requested the principal to take a simple aerial image. 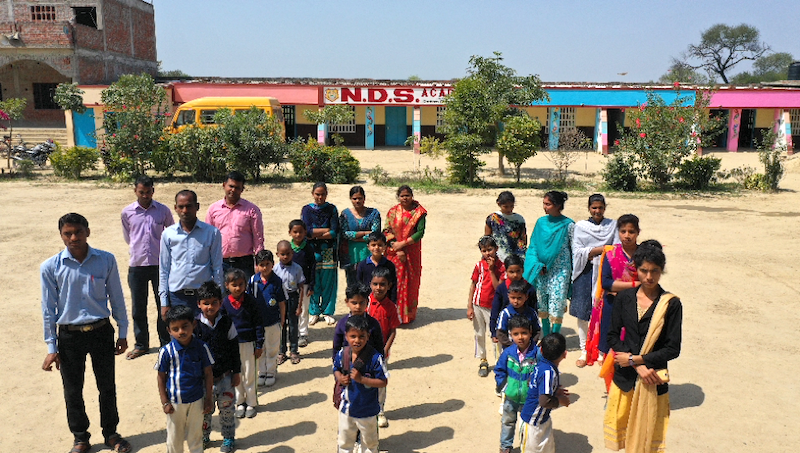 The principal was so impressed that he encouraged Ramesh to teach students all about drones, with the promise to return for more specific projects. Ramesh continues to impress us with his persistence and passion and we decided to take him to an exciting field trip to Chitrakoot. All he wanted was guidance. We will support him, train him, groom him and more importantly, we will help him get his long wished-opportunity to make his dreams come true.